As an addition to the lectures students get to experience balinese culture and living through different workshops and excursions. Workshops give the students a hand on perspective to the daily routines of balinese people such as making ornaments for the ceremonies and learning the unique balinese writing. Workshops are a great way to get to know little secret bits of the amazingly rich balinese culture. Learning the proper dress codes and what different ornaments are for will ease the integration to the new surroundings. Especially in Asia where manners and traditions are valued high. This week students hit the Denpasar market to test their bargaining skills and buy them selves their own ceremony clothes! Traditional outfits are worn to every ceremony and can be worn by tourists even when just visiting a temple. The traditional outfits are different for men and women. Mens' outfit is build from 6 parts the head-cloth (udeng), a collar shirt or a safari jacket (kuaca), an inner sarong (kamben and an outer sarong (saput), a sash (selempot) and a pair of sandals. Women wear a lace top (kebaya), underclothing a top or a corset (kutang), a sarong (kamben), a sash (selempot) and a pair of heal sandals. During excursions students have the opportunity to access plenty more places than a typical tourist in Bali. Being invited to a traditional balinese house and compound, getting a sneak peek into Bali's most prestigious hotels and visiting a local handcraft factory that exports products around the world. These excursions are free of charge to our students and sometimes the only way to access some of the destinations. Help is often wanted when organising an event or just helping out with a lack of staff. Being active and participating in excursions can help you find some independent volunteer work or just some special activities outside school hours. International students with their good english skills and open minded attitude are a wanted resource around the world but specially here in Bali. Sign up for an event and experience what happens behind the scenes. 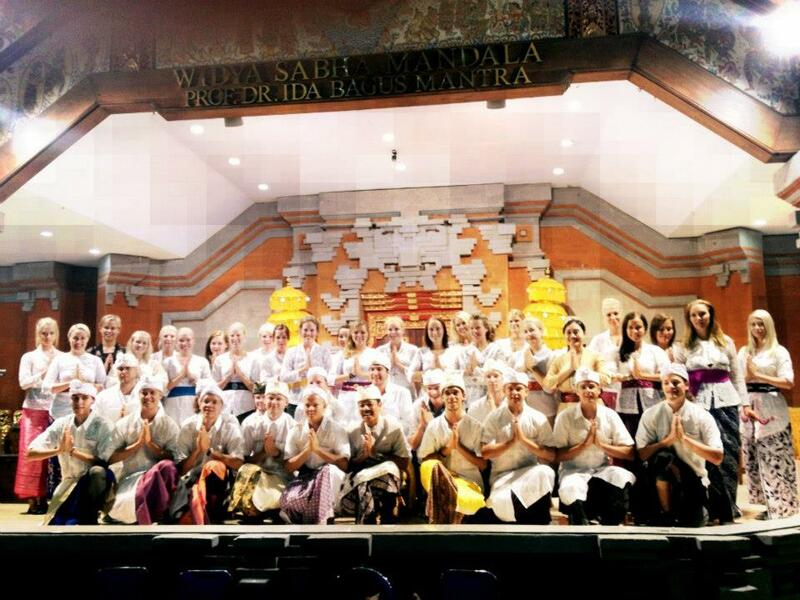 For example last autumn semester 2012 students had the opportunity to work as a volunteer at the annual Nusa Dua Fiesta. Tasks varied between information and guiding the guests all the way to body painting modelling! Always keep your eyes and ears open! You never know what adventure is waiting for you around the corner!